For you alone are pure and blessed. O Lord our God: You have awakened us from sleep and have called us by a holy calling to lift up our hands at the break of day, and to render homage to your righteous judgment. Accept our prayers, devotions, requests, and adoration. Grant us, O God, an invincible faith, an unshakable hope, and love unfeigned. Bless our comings and goings, our deeds and works, our words and desires. Grant that we may come to the dawn of this day praising, singing, and blessing the lavishness of your bounty which is beyond description, for blessed is your holy Name and glorified is your kingdom, Father+, Son, and Holy Spirit, now and ever, and forever. Amen. Great and most high God, you alone possess immortality and dwell in unapproachable light. You made all creation with wisdom, dividing light from darkness, establishing the sun to rule the day and the moon and stars to rule the night. You have allowed us sinners to approach your presence with thanksgiving in this present hour and to offer you evening praise. O Lord, Lover of us all, make our prayer ascend to you like incense and accept it as a sweet fragrance. Grant that we may spend the present evening and the coming night in peace; clothe us with the armor of light. Deliver us from the fears of the night and from everything that lurks about in darkness. Grant that the sleep you have given us to refresh our fatigue may be free from all illusions of the devil. Yes, O Master of all, giver of good things, let us feel contrition as we lie on our beds, remembering your name throughout the night. Enlightened by meditation on your commands, may we rise with gladdened soul to give glory to your goodness, offering prayers and supplications to your compassion for us in our sins and those of all your people. 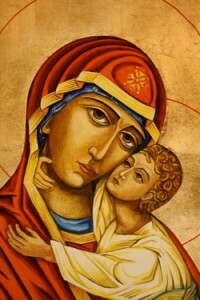 Visit us with mercy through the intercession of the holy Theotokos. For you, O God, are good and love us all, and we glorify you, Father+, Son and Holy Spirit, now and ever and forever. Amen. And may their hearts find life. Almighty Master, Physician of our souls and bodies, who both humbles and uplifts, who chastises and heals; visit me with Your mercy in my time of illness. Stretch forth Your arm that is full of health and healing, and heal me, and allow me to leave my sick-bed. Banish my weakness and pains, heal my wounds, quench my fever, and prevent a relapse. 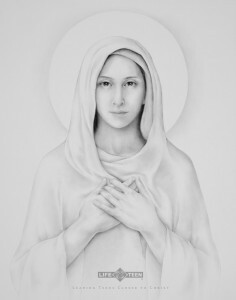 If I am guilty of sins or transgressions, loose, remit and forgive them for the sake of Your love toward mankind. Yes, 0 Lord, heal me, Your child, through Jesus Christ our Lord with Whom You are blessed +, together with Your all-holy, gracious and life-giving Spirit, now and ever and forever. Amen. 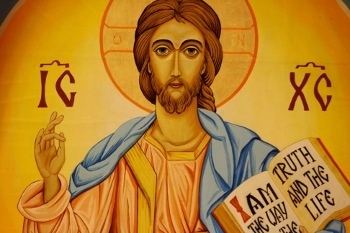 O Lord Jesus Christ, the Life and Strength of all who place their trust in You; Your mercies are numberless and the treasury of Your goodness is infinite. I thank You for the blessings which You have bestowed upon me, and I humbly beseech You to continue Your goodness toward me. As it pleases You to restore my bodily health, so now endow my soul with all heavenly graces and perseverance in good works. Prepare me by Your blessings in this life for the enjoyment of eternal happiness in the life to come. For to You are due all glory, thanksgiving and adoration, together with Your eternal Father + and Your all-holy, gracious and life-giving Spirit, now and ever and forever. Amen. Lord, Jesus Christ, I ask the grace to accept the sadness in my heart as Your will for me, in this moment. I offer it up in union with Your sufferings, for those who are in deepest need of Your redeeming grace. I surrender myself to Your Will, and I ask You to help me to move on to the next task that you have set for me. Christ our God, help me to enter into a deeper union with You. Lead me away from dwelling on the hurt I feel, to thoughts of charity for those who need my love, to thoughts of compassion for those who need my care, and to thoughts of giving to those who need my help. As I give myself to You, help me to be an instrument of your salvation to those who come to me in need. May I find my healing in this giving. May I always accept God’s will. May I find my true self by living for others in a spirit of sacrifice. May I die more fully to myself, and love more fully in You. As I seek to surrender to the Father’s will, may I come to trust that He will provide me with everything that I need. For You are Holy our God, and we give glory to You, to your eternal Father, and your life-giving Spirit, now and ever and forever. Amen. 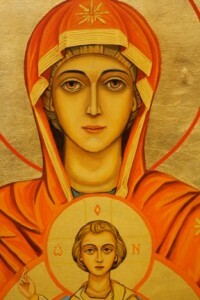 -The Mystery of Repentance is most properly done before an icon of Christ. -The penitent approaches the icon, venerates it, and awaits the introduction of the priest. -The penitent should feel comfortable speaking to the priest or directly to Christ. -When he/she is done confessing, the penitent says the following or something similar. Penitent: For these and all the other sins which I cannot remember or call to mind, I am very sorry that I have offended God. I am truly repentant; and I promise, with the help of God, to better my life. For this, I humbly ask of you, Father, salutary penance and absolution. -The priest will give counsel and a penance. The penitent should feel free to ask any questions they may have about sin, penance, absolution etc. -If the penitent is not already kneeling before the icon of Christ, they should do so. -The priest will place his epitrachelion (stole) over the penitents head and say the following, or a similar, prayer of absolution. Priest: May our Lord, God and Savior Jesus Christ, through the grace and mercy of His love for mankind, forgive you all of your transgressions; and I a priest, although unworthy, by His power given to me, forgive and absolve you of all of your sins, in the name of the Father, and of the Son, and of the Holy Spirit. Amen. -The Priest may help the penitent stand up. 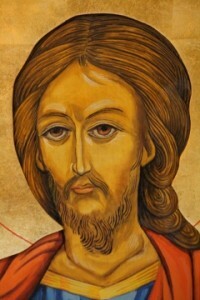 The penitent should venerate the icon of Christ, and depart to perform the penance.